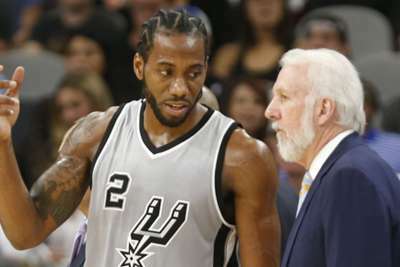 Shortly after the Spurs announced a blockbuster trade that would send disgruntled Kawhi Leonard to the Toronto Raptors, San Antonio coach Gregg Popovich opened up about the move. Popovich put to rest some of the speculation as he spoke to reporters about the trade on Wednesday and actually praised Leonard's performance while he was in San Antonio. However, he also indicated it was time to move on and that he was excited to build a team with new players. "[Leonard] was a hard worker all the time and we wish him well but at this point it's time to move on," Popovich said, via MySanAntonio.com. "In no way, shape or form does it do good to go back in time and talk about A, B and C. It's time to move on." "At this point my main interest is to not look back. 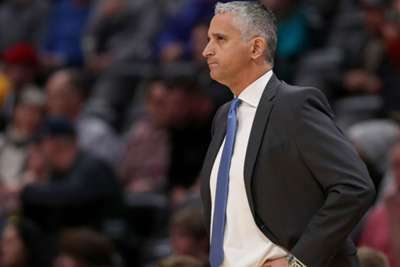 I'm thrilled to have DeMar and Jakob join us, from this point on that's where my focus will be," he said. "I'm not interested in talking about the past." Popovich went on to explain that he and Leonard had conversations over the summer about the latter's future with the franchise, but making a trade was the team's best option.